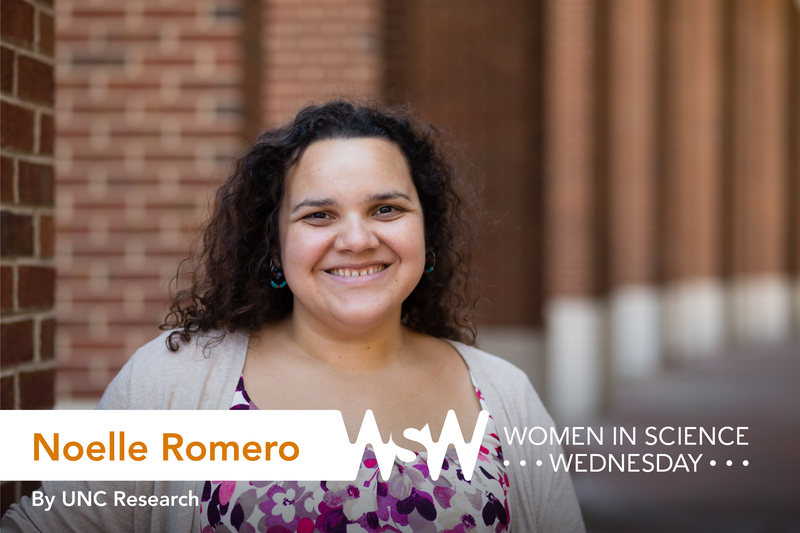 Noelle Romero is the program coordinator for the Chancellor’s Science Scholars and UNC-PROPS. In August 2016, she successfully defended her thesis within the Curriculum in Genetics & Molecular Biology. Her research focuses on how to prevent problems that arise from damaged DNA, such as cancer, through studying Fancm, a protein that helps repair it. A taxi driver or ballerina — sometimes both at the same time. It often switched depending on my mood. Share the pivotal moment that helped you choose research as a career path. My ninth-grade biology professor, Mr. McGrath, helped me realize that I wanted to pursue genetics research. I had just switched school districts and was placed in standard “track 2” courses, even though I had told them that I should be in honors. My biology class was really easy, and I would ask for more work as a way to stay engaged. When reviewing Mendelian genetics and how traits are inherited, Mr. McGrath developed extra lesson plans and experiments for me based on my interests. He also pushed me to be better and do more. I walked into homeroom one day and he told me we had to see the principal. He walked me into Sister Maureen’s office and told her, “She has too much potential to waste on the classes she’s taking. Fix it.” He shook my hand and left. I was in all honors classes by second period. I’ve had the privilege of working with some amazing people. 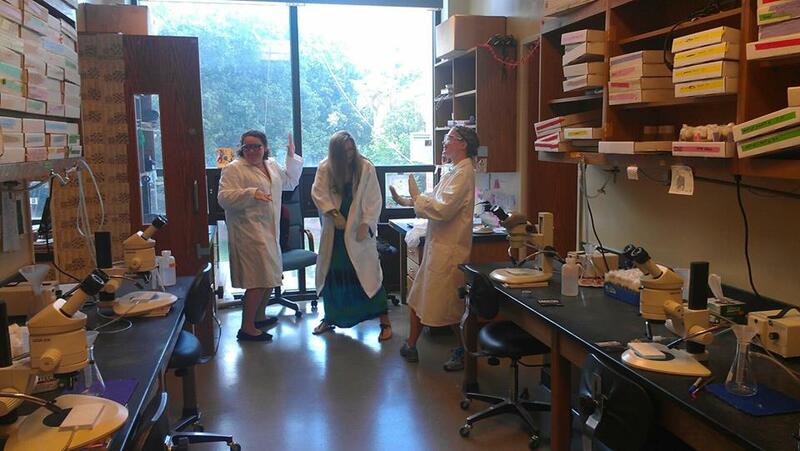 My favorite memories are celebrations of each other’s achievements — like spontaneous parties when someone got their paper accepted, decorating work spaces when a grant or fellowship got funded, and celebrating when someone got a difficult cloning to work or found the right recombinant fly. The important things were the small things — the community we built that made science fun and memorable. Romero (left), along with post-baccalaureate fellow Olivia Ballew (center) and graduate student Danielle Rognstad (right), celebrate a successful cloning with an impromptu dance party. In honor of Women’s History Month, share an anecdote that shows why women need to continue breaking barriers. I wanted a woman on my thesis committee. When looking at faculty who would be a good fit for my research project, the list was entirely male with one female. The only woman on my thesis committee was Dorothy Erie. She became a pillar of support for me during my graduate work. Women need to continue breaking down barriers so that there are more mentors and role models for all women in STEM. Representation matters. Being able to have a shared identity with someone fosters success. I believe that women need to learn from one another, work together, and advocate for each other. During the Diversity in STEM conference, Christine Grant will present on “Successful Strategies for Women in STEM.” Hearing her advice on how women in STEM can be successful is a wonderful opportunity for women to come together and learn from one another. Never let anyone tell you that you aren’t a scientist or that you’re not capable. Encourage and support each other — lift while you climb.